With an average ROI of $38 for every dollar spent, email is one of the top channels for marketers to connect with customers and build valuable relationships. This is according to the 2018 Email Marketing Lookbook, published by Return Path. In fact, 70 percent of consumers prefer email for brand communications. But it can be difficult for marketers to evaluate an email campaign’s performance objectively, as goals and expectations can vary for different types of email campaigns. Currently, Return Path analyzes the world’s largest collection of email data to show businesses how to stay connected to their audiences and strengthen their customer engagement. We help mailbox providers around the world deliver great user experiences and build trust in the email by ensuring that wanted messages reach the inbox while spam doesn’t. 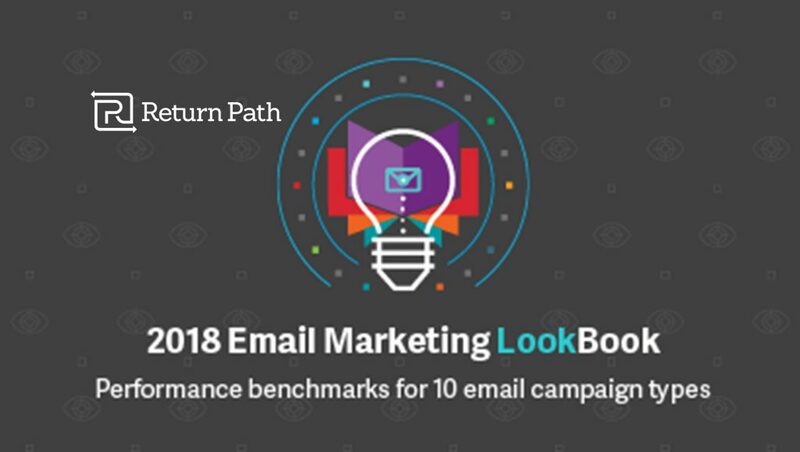 A new report from Return Path, the 2018 Email Marketing Lookbook, takes an in-depth look at 10 common email campaign types, including abandoned cart messages, newsletters, welcome emails, and more. By analyzing data from more than 600 thousand unique commercial emails, this research provides key performance benchmarks for each campaign type. The report also includes analysis of best in class examples within each campaign type, to provide inspiration and guidance as marketers plan their email strategy for 2018. Welcome messages are important for building new subscriber relationships, but struggle to reach the inbox. First impressions matter and welcome emails provide a great way for marketers to embrace new subscribers and set expectations for future communications. But welcome campaigns also present some unique challenges, as they represent the first contact in a new relationship. As such, welcome messages had the lowest inbox placement rate (84 percent) and the highest complaint rate (0.62 percent) of any campaign type studied. Post-purchase messages outperformed every other campaign type in this study. Also called transactional messages, post-purchase emails provide details of a completed purchase, including order confirmations, receipts, and shipping information. Because these messages are expected by consumers and provide valuable information, they tend to have a high inbox placement rate (98 percent), a high read rate (44 percent), and a low deleted before reading rate (seven percent). Promotional messages are the most common campaign type, but performance is relatively poor. Promotional emails, which highlight a particular product, service, sale, or event, accounted for more than 70 percent of all messages in this study. However, performance for promotional messages did not stack up to other campaign types in this study, with a read rate of just 19 percent and deleted before reading rate of 12 percent. However, volume does come into play with promotional messages—because so many are sent, even the small percentage that are read provide plenty of opportunities to generate sales. Return Path conducted this study using global consumer network data consisting of more than 3,000 commercial senders, one million consumer panelists, and 600 thousand unique commercial email messages sent to Microsoft, Google, Yahoo, and AOL users between July 22 and November 29, 2017.